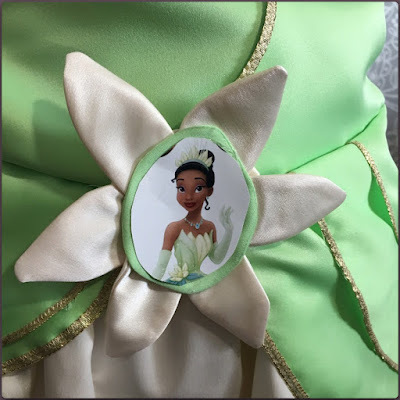 The Princess and the Frog….Tiana my Darling!!! Early in June this year, I had a conversation with my daughter. 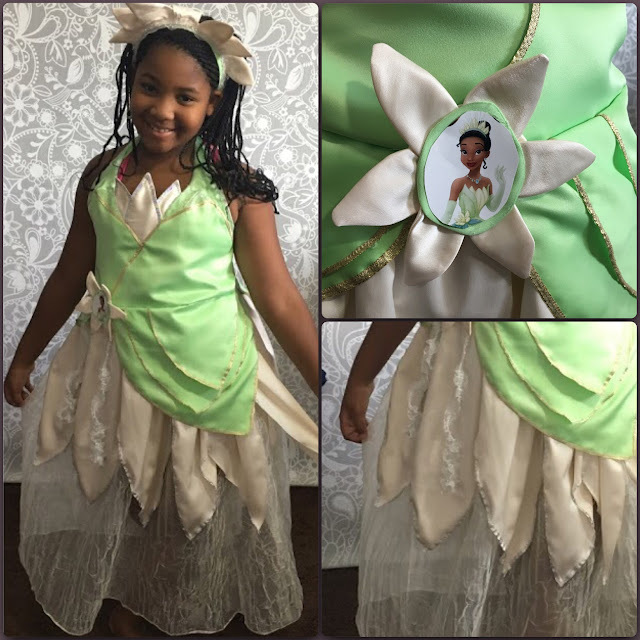 It went something like this…..
Do you honestly think I would just throw together some old stinkin’ cape or just any ole thing for my Mini-Me to “represent” me at a “Princess Ball”. If any of you have any idea the stakes on the table when you are 9 and headed off to a “new-to-you” summer camp. What goes through your mind at the thought of all the other girls wearing those gorgeous cheap “STORE BOUGHT” costumes and here you come in with some pieces of fabric thrown together. That is a bad look on our craft. There is no way!!!! Absolutely, no way I would allow her to go down in flames like that!!! I had to do something, right? 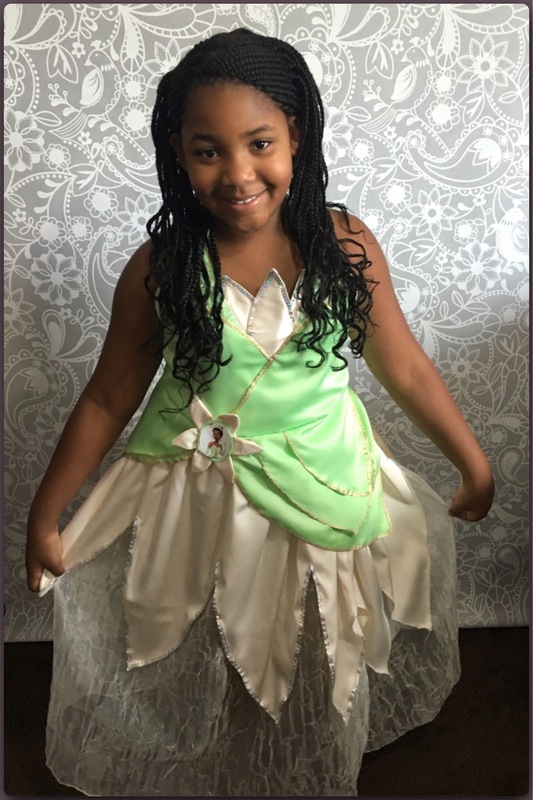 I had to go all out, I had to let it be known that I am GrandMa….not to be mistaken for having the time to do for others, yet no time to really concentrate on my ONLY grandchild’s costume. Oh, no, a statement must be made. Who out there knows what I mean? Who out there, knows what its like to WANT the best and know you can make it? I took the picture of the dress and Mini-Me and I went shopping for all the parts. She actually made sure I got the colors correct. I just made sure the fabric was proper for the outfit. JoAnn’s Casa collection always is there for these type of costumes. 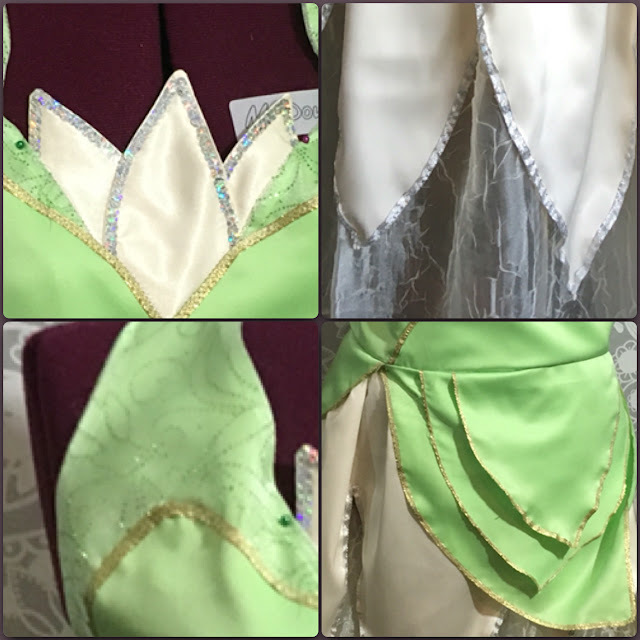 They always make sure the right colors are in stock for the Disney princess costumes. I, just might be more proud of this than I am my own makes. I was beaming with pride when she twirled……here in this video: “Princess Tiana Twirls”.